Do you know what pops up, If you Google “obstacle racing world championship”? 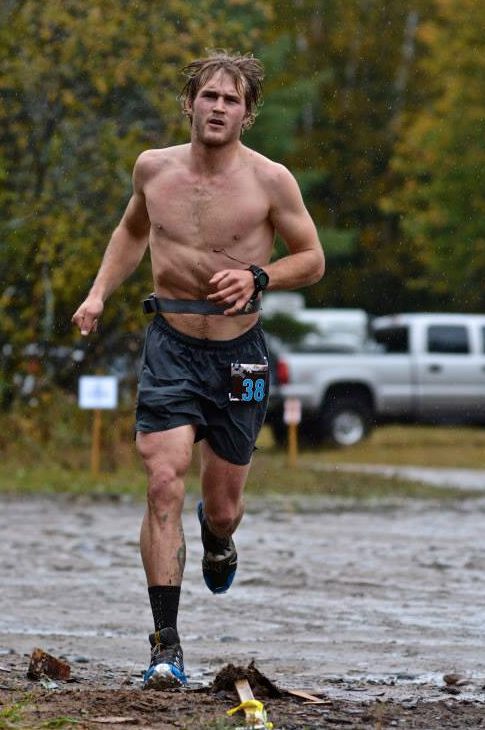 If you said “Vermont Spartan Beast”, you are correct. Various “OCR world championships” notwithstanding, this is the mother race of any other event that calls itself an obstacle racing championship. And probably rightly so, this mother race is probably the one with most ground to call itself a world championship in terms of both course difficulty and the calibre of athletes that it attracts. In 2014, each of the biggest dogs in the sport is now offering a “world” championship. What seems to be a pretty universal truth is that there is money to be made in general image of badass. Therefore, even the obstacle races with a former image of fun runs are organizing longer, tougher races. Preferably, with the word “World” thrown into the title. For example, did you know that there was a Superhero Scramble World Championship? Yeah. Me neither. As a Canadian, I really have been paying as much attention to this all-American race series, so I enjoyed learning that Superhero Scramble offers a special medal for those who complete all three race distances that they offer. It somehow sounds eerily familiar. Although, they switched up the colors to make sure no one is confused – green for the shortest race, and red for the longest. Phew. Now it’s clear. The event took place on January 14, 2014 in Miami. To say that this race flew under the radar of most, would be the understatement. Although ORM published a scathing critique of the event here, which by the sound of it, was well deserved. Here, Joe shares his thoughts. 1. What do you think makes an event a world championship in any discipline (be it obstacle racing or tennis)? It needs to be attended by all the best athletes globally, it needs exposure to put those athletes under pressure, and it needs to be recognized by the community as the world championships. 2. Given that there are already races like the Spartan championship and the WTM, do we need another championship? Andy and I joked recently that we were thinking of starting another World Series for baseball. 3. Do you think the person who wins the Vermont Beast is truly a world champion in obstacle racing? How do we manage multiple “world champions” as more and more of these events are popping up? I think it will be difficult for these other events to draw the best talent from around the world and they might look at themselves as a great way for folks to get ready for our annual event. 4. If Ryan Atkins, Pak and Hobie Call would run an obstacle race, who would you bet on? Hunter, The Bear, and Matt Murphy… maybe even Amelia :). 5. How many countries were represented at Vermont Beast? How did you ensure that different countries were represented? Did you sponsor any athletes from other countries? How did you choose which athletes to sponsor? We did, we applied lots of resources to each of the representing 12 or so countries to get a true mix of athletes. What do elites make of this world championship extravaganza? 1. What do you think makes an event a world championship in any discipline (be it tennis, or any other sport)? Well, to legitimately call an event a “world” championship, similar events would need to be available worldwide to an extent, and people from at least a few different countries would have to compete. 2. What should an obstacle race have (or not have) in order to call itself a world championship? How would it have to be different from simply a race? You could go into details about standardization, regulations, clearly understood rules, etc., all of which to an extent would be good to have, but honestly, as long as your #1 question is satisfied, none of these things are necessarily required to call an event a world championship. 3. Currently, there are multiple events scheduled to take place in 2014 that all call themselves an OCR world championship. Given that there are already races like the Spartan championship and the WTM, do you think we need another championship? Spartan’s Vermont Beast, and the WTM are extreme ultra endurance events. 90+% of your success at those two events rely on your running endurance, and ability to handle the cold. Meaning that maybe 10% of your success is determined by your actual ability with the obstacles. So yes, the “sport” of “obstacle” racing desperately needs another serious racing series that actually gives the “obstacles” the recognition they deserve, and has them play an equal role in the outcome of the race. Also, if this “sport” is going to thrive long term, it absolutely has to be televised. Television exposure will bring in the money necessary to continue to build bigger/better events, and will support larger cash purses which can enable there to be more professional athletes. As long as we stay in the state that we are currently in where only two or three people can make a living off of racing, then the sport will have very limited long term success. I’m far more interested in getting all of the organizations to work together for the betterment of the sport as a whole than I am about labeling any one event as a World Championship. 4. Do you feel any pressure to defend your title in any of the upcoming events in 2014? Yes, only from myself, of course, though, I plan to do my best in all of the races I race in, and I hope that my best is good enough to win most of them. I, however, do not feel any pressure to defend my Spartan World Championship title. Until or if I actually decide to properly train for such a long event, I plan to just show up and have fun. 5. You are the champion of Vermont’s Beast. How do you think you compare with the champion of the WTM – Ryan Atkins? 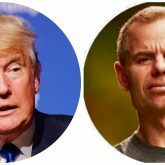 Are these simply two very different events? 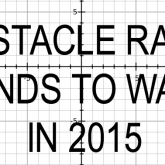 And if so, is there such a thing as “obstacle racing champion”? They are two very different races, that require two different training protocols. I consider myself to be an obstacle racing champion, not necessarily because I can win every single race out there, but because I have won more than anyone else. 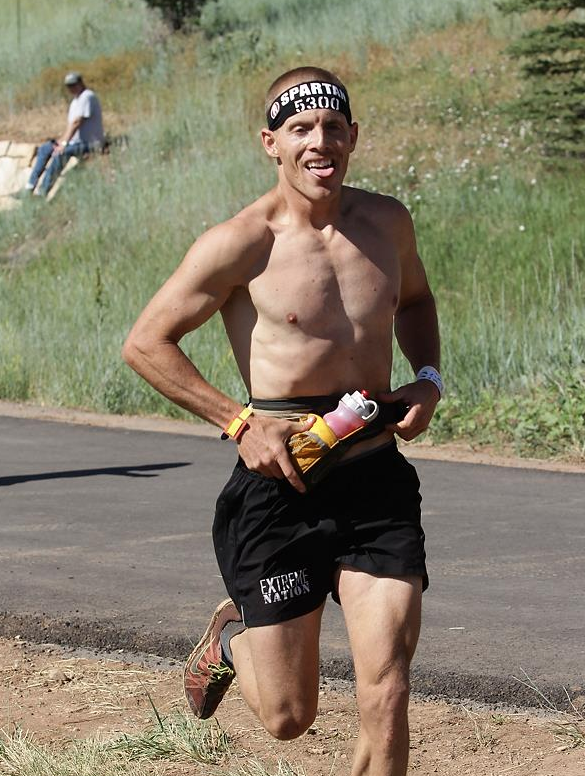 Although, if you want to get technical, of the 48 obstacle races that I have participated in, the most “obstacle” intense race I have done has been about 70% running, 30% obstacles. Most races are more like 90% running, 10% obstacles. So really, I consider this to be a runner’s sport, and until we get a race with a 50/50 balance between obstacles and running, I don’t think we have a true “obstacle” racing champion. I think that a world championship event must be run by an independent company, that is not-for-profit. Ideally, there is a series of races, 3-7 during the regular season during which you can amass points, and race on a high level. Qualification for world champs, and the series should be based on a countries’ individual smaller national series. Since OCR is in its infancy, I think that this still needs to be established, but a small starting group of people, and a fairly consistent course setup, and format is important. 3. Currently, there are multiple events scheduled to take place in 2014 that call themselves an OCR world championship. Given that there are already races like the Spartan championship and the WTM, do you think we need another championship? 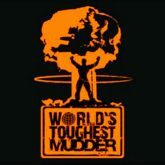 I think that calling an event “The World’s Toughest Mudder” is great, because it defines itself as the culmination of a specific brand. Also, calling the event “Spartan Championships” is still great. Neither of these events are true “World Championships”, they are just extensions of events that are popular, branded, and recognized. 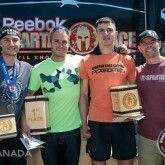 For there to be a OCR world championships, it needs to be independent, and un-branded. I feel immense pressure to defend my title, but all of that pressure is coming from myself. I am definitely my own hardest critic, and i’m the one who constantly pushes myself. 5. You are the World’s Toughest Mudder 2013. How do you think you compare with the champion of the Vermont Beast – Hobie Call? Are these simply two very different events? And if so, is there such a thing as “obstacle racing champion”? I have never met Hobie Call, so I have no clue how strong, or fast he is. From what I have learned online, he seems like a very fit, committed Obstacle Course Racer. I also think he primarily trains for the shorter distance events. 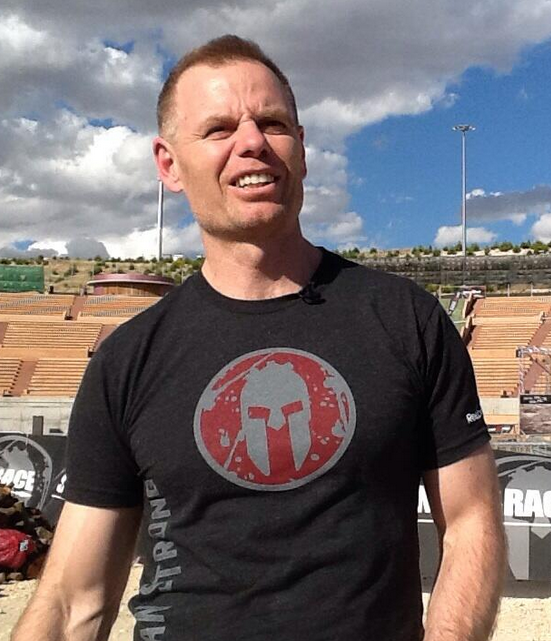 I like doing short, and long distance, and I would have loved to race him in the Spartan Championship. My biggest strength is the 3-4 hour range of event length, so I think I could be competitive against him, and others, in the Vermont Beast. I still don’t think there will be an official “obstacle race champion” until someone creates an event like I previously described, but I also know that people don’t all see eye to eye on this. I will be at as many high profile Obstacle course races this year as possible, and I can’t wait to see how this all plays out! I’m with Ryan on this one. Can’t wait to see how this all plays out. *This post was written in the spring of 2014.